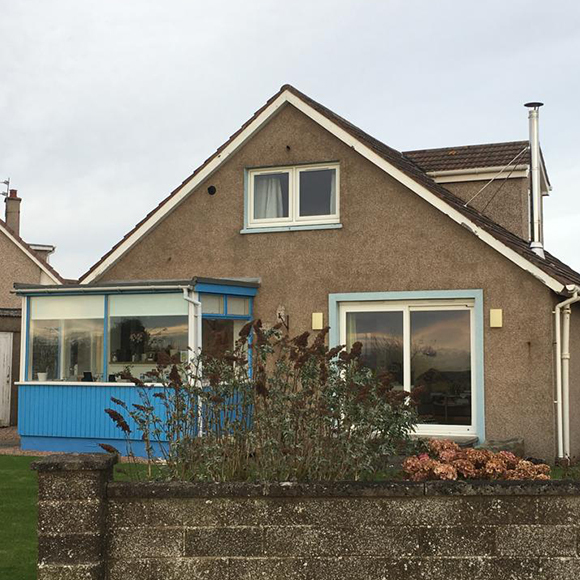 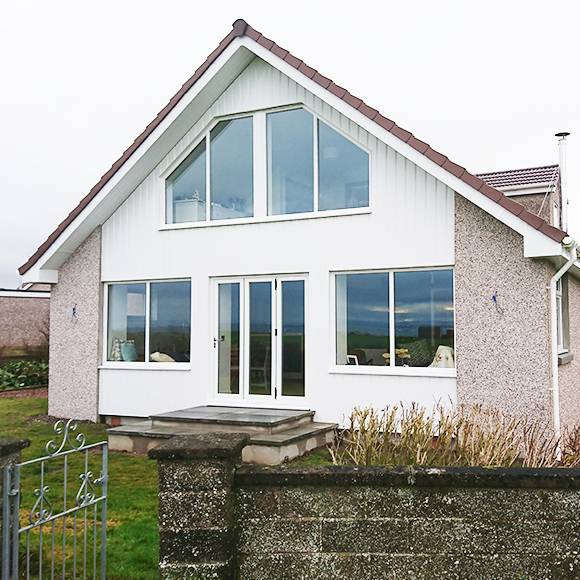 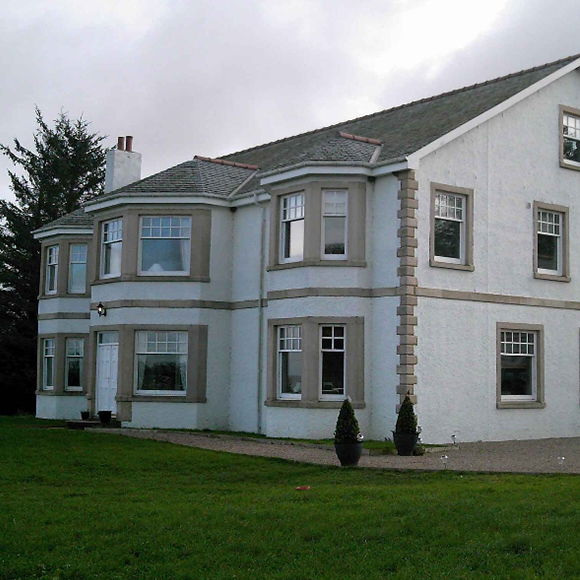 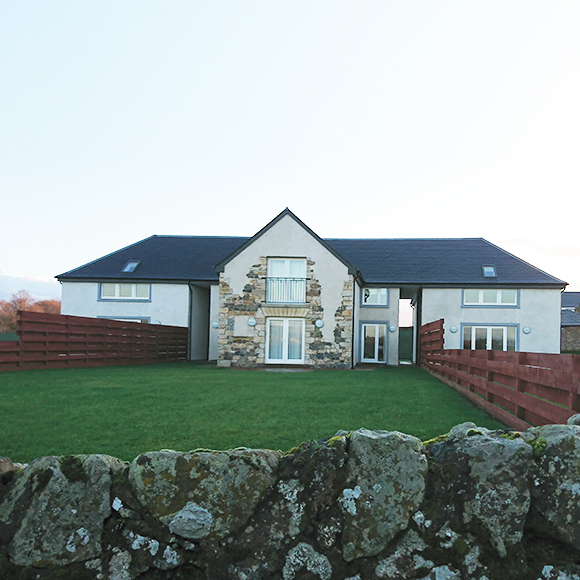 Two storey kit extension overlooking Anstruther Golf Course. 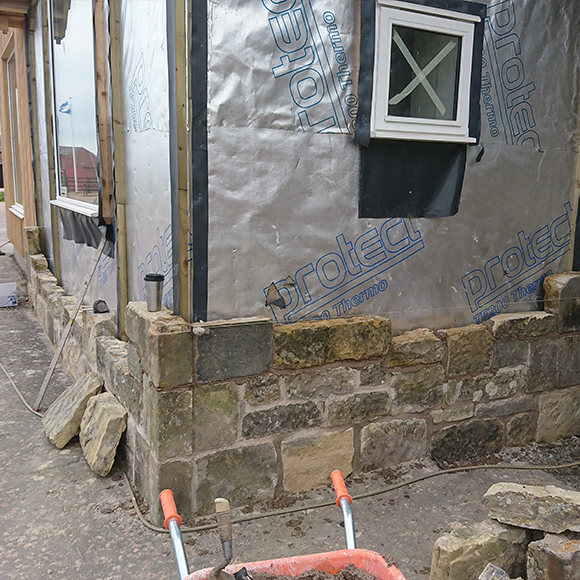 Newly built stone extension using reclaimed stone. 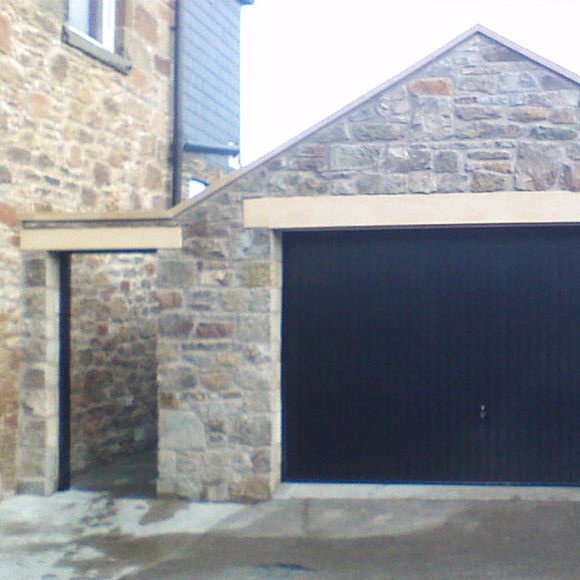 Old garage removed and a new stone garage rebuild. 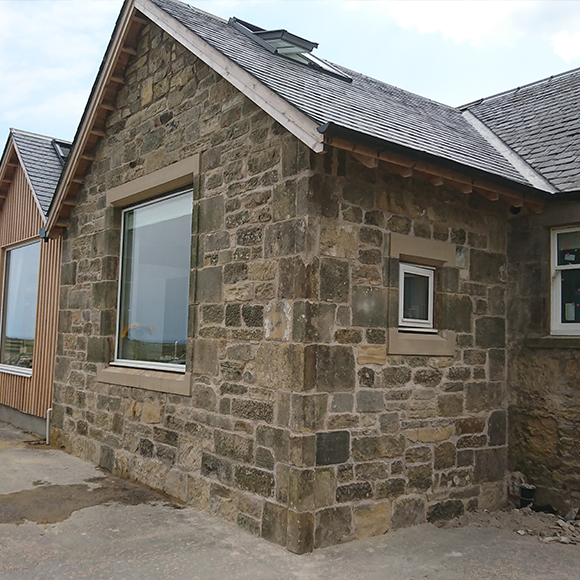 New build kit with stone effect reveals, lintels, quoins and stringer course. 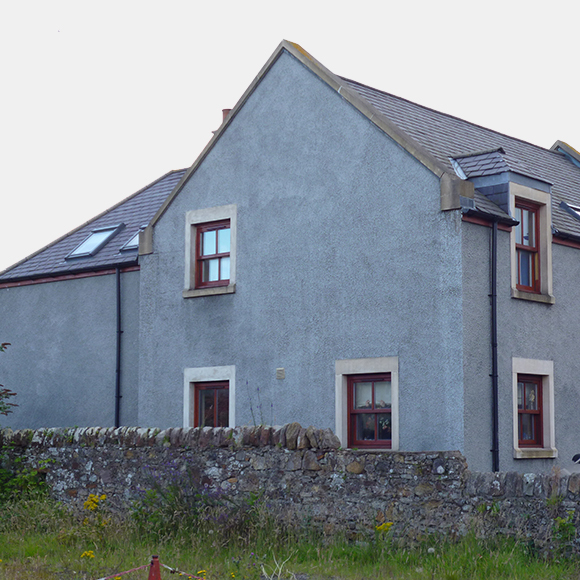 Three new builds kit houses with a stone feature on the gable of the middle house.